In an industry which is particularly exposed to risk by working at height, Belmont Roofing has been awarded the NFRC Gold Safety Award and takes its’ responsibilities very seriously. Whilst we will always do our utmost to try to help in “emergencies” we will not make promises we cannot fulfill or compromise the safety of our staff for commercial gain. Out of sight-Out of mind! Plan ahead! Avoid the unexpected! Planned maintenance contracts may be the answer. 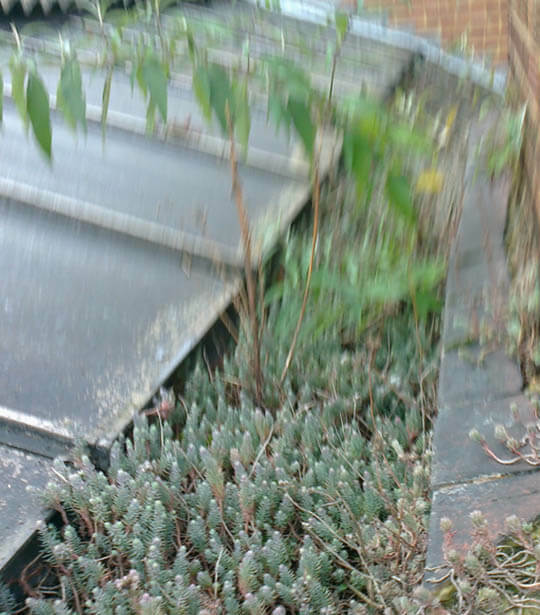 A huge number of emergency calls we receive are caused by lack of maintenance and blocked gutters. 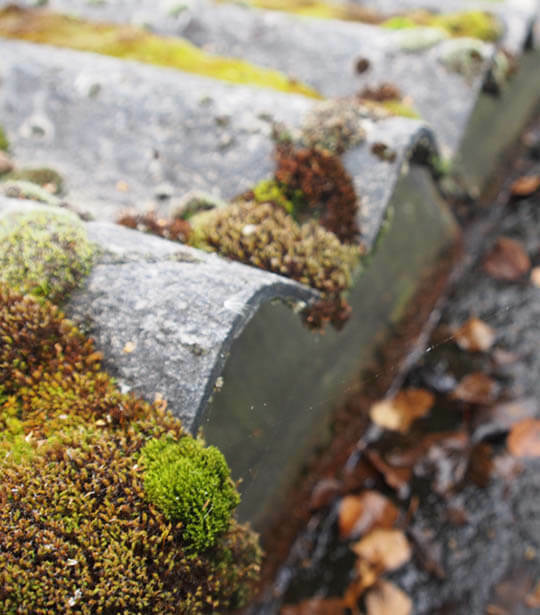 Dry periods in the summer allows moss and lichen to die and sudden heavy rainfall causes this to be washed into the outlets. The Belmont maintenance team will visit site and design an annual roof inspection combined with a planned maintenance contract to try to plan ahead. Working on fragile roofs is something Belmont Roofing has specialised in for decades. We are proud of our safety record and regular safety courses are attended by all our directly employed skilled workmen and office staff to avoid the risk of complacency whether for carrying out major refurbishment or 1/2 day repairs to roofs or gutters. We spend considerable resources on providing the correct training, health and safety equipment and supervision. We do not employ casual labour. Very often we will recommend the use of a cherry picker to span above where the repair is being carried out to act as a “sky hook”. We will use specially designed “valley walks” to prevent falls through fragile roofs when cleaning out gutters. We will help you to plan ahead by offering a free roof inspection by one of our in-house experienced and professional roof surveyors. If the roof has reached the end of its’ useful life expectancy, we will advise you and after discussion as to your future plans for the building, will prepare cost options designed to suit your budget. We pride ourselves in working closely with our clients to ensure we fully understand their requirements before offering a solution. It may be that the building is freehold and is part of a pension plan where a long-term solution is the right solution, or alternatively, there may be a short-term tenancy or lease in place where the future requirements of the building are uncertain. We will provide cost options for you to consider. We fully understand that re-roofing may not have been planned or financially budgeted for. We have the experience and integrity to be able to offer the best and most practical solutions to suit your requirements, and perhaps plan for the work to be carried out in stages to suit your budget. We have the experience to ensure your building will remain weathertight and fully operational throughout the roofing programme. P.V.C rooflights were often installed as being a cheaper option that G.R.P but in practice will require replacement within 5-10 years. There are various grades and thicknesses in the panels and shortcuts are often taken for commercial advantage. P.V.C tends to suffer from P.V.C “migration” and will dry out and become brittle. The product is prone to movement and the mastic sealants at the tail end of the sheet will distort and fail and allow driving rain to penetrate the building, especially in shallow roof designs. Belmont has always promoted the use of G.R.P which gives a longer life expectancy but will still generally fail within the building lifespan making replacement necessary at some stage.